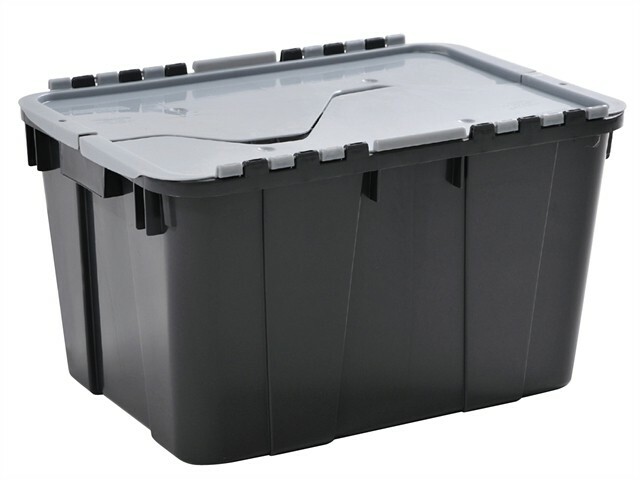 Curver 55 litre shatterproof crate in graphite colour with silver lid. With metal pin hinges for added strength. Ideal for the home, office and workshop. Dimensions (W x L x H): 575 x 425 x 380mm.